The growing demand for food with a simultaneously increased population raised the pressure on land and soil resources. Hence, monitoring their productivity enable refining management practices in order to improve the performance. 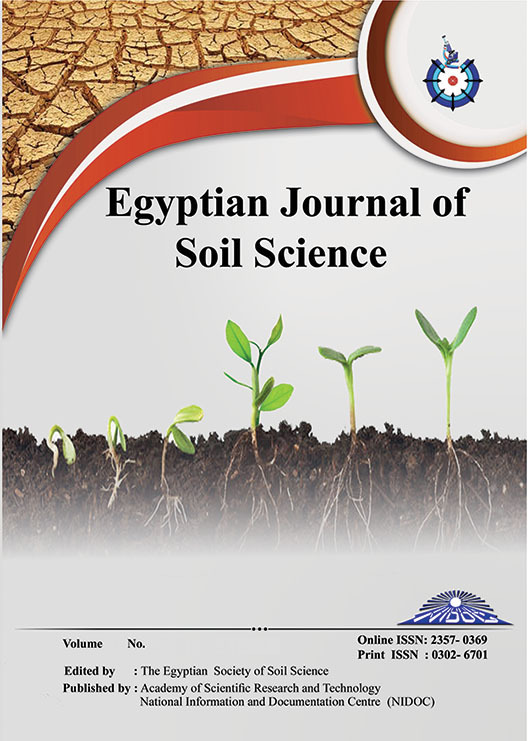 The current work aimed at evaluating spatial and temporal variations in the productive capacity of 2157.65 km2 (215765 ha) located along the Nile River (Damietta branch), Egypt. The soils belong to three productivity classes; grade I (excellent), grade II (good) and grade III (average), representing 4.6, 79.3 and 16.1%, respectively of the total area. Changes in the land productivity were observed during the last five decades. The positive changes are predominant in the majority of the studied soils (76%), while the negative changes are in few localities (24%). Excessive salt content, improper drainage conditions and texture/structure are the most effective limiting factors. Improving land productivity grade requires improving drainage conditions, leaching excessive salt, and addition of organic amendments.